The second book of the beautiful collection of well-known choro pieces for playalong, to learn, to solo or simply to listen to. With the series "Classics of the Brazilian Choro - You are the Soloist" you can discover beautiful Choro pieces, replay compositions or use the ensemble as playalong. 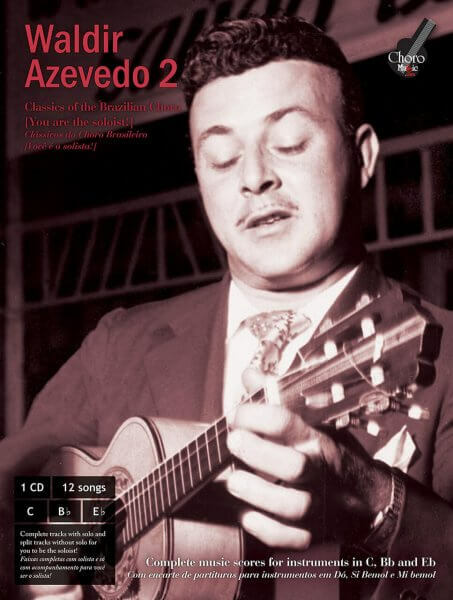 Each volume in the series introduces a famous Choro composer, including a collection of his most famous compositions on a digitally mastered audio CD and a high-quality music booklet with the corresponding C, Bb and Eb scores, as well as interviews, biography and relevance of the author to the history of the choro. Listen to the complete stereo tracks (with soloists) on the CD for reference. Tune your instrument (flute, saxophone, clarinet or mandolin, 7-string guitar) with the help of the voice tones. 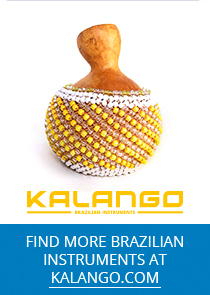 Loads of fun for soloists with the accompanying music of a leading choro ensemble from Brazil.